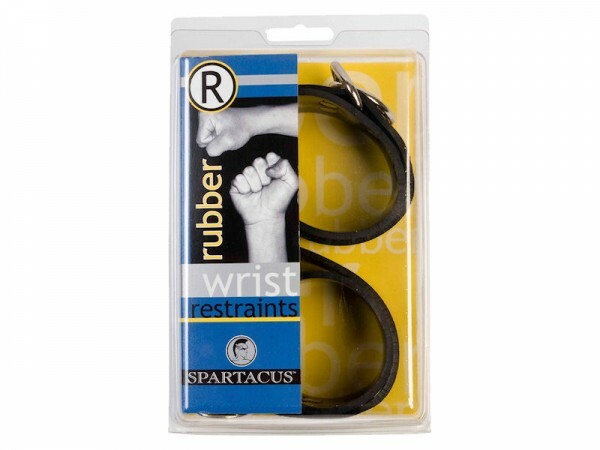 Spartacus Rubberline Locking Wrist Restraints Rubber wrist restraints, with optional locking attachment and padlock. Adjust from 4.5 inches to 7.5 inches. Model image wearing wrist and ankle restraints. Each sold separately.